One person was taken to Norwalk Hospital for evaluation after two cars collided Wednesday on Interstate 95 between southbound Exits 16 and 17. 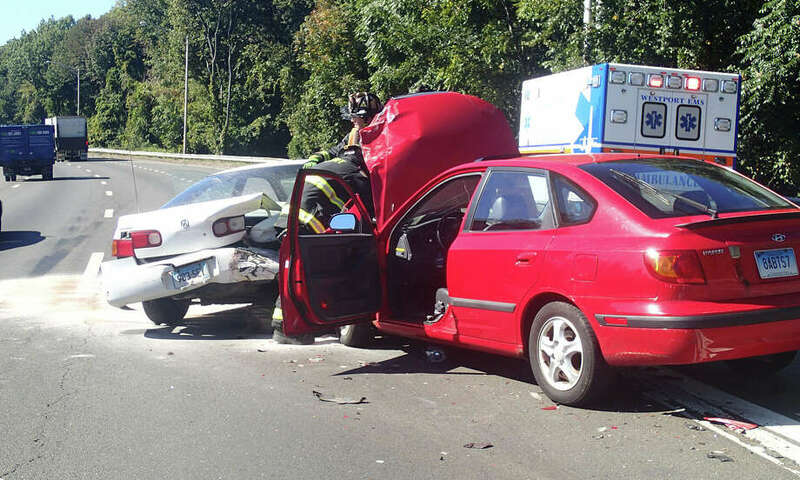 One person was hospitalized after a two-vehicle crash Wednesday morning on Interstate 95. The crash, which took place shortly before noon, occurred in the southbound lanes between Exits 16 and 17. Firefighters were dispatched to the scene, and the injured person — whose injuries appeared to be non-life-threatening — was transported to Norwalk Hospital for evaluation by Westport EMS. During emergency operations at the scene, the right and middle lanes of the highway were closed. The last Fire Department unit cleared the scene about a half-hour later.